Stock 4.3 ROM for Nexus 4 - Rooted! [Official Release] ~ AndroidRootz.com | Source for Android Rooting, ROMS, Tricks and More! Google recently had an event where they released Android version 4.3. Even though I was expecting it to be version 4.3 and Jelly Bean it wouldn't hurt to hope for a Key Lime Pie Android release. Instead of unrooting your device, upgrading to Android 4.3, and then rooting your phone again. 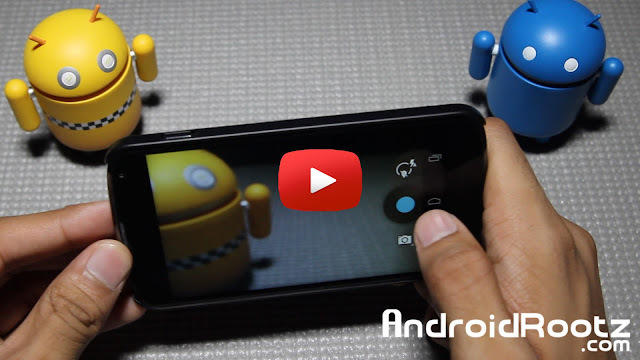 You can easily just flash this stock 4.3 ROM on your Nexus 4 device. This ROM is completely stock, comes deodexed, and rooted (see down below for direction on rooting). The Android 4.3 ROM doesn't have a lot of visual changes, but more changes "under the hood". With this Android version your going to be able to get better battery life, performance, and stability. The only visual change I could see is the slightly changed interface of the camera app. Everything else seems to be the same, no not even any new wallpapers. Download the stock 4.3 ROM using the link below!